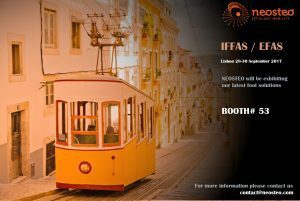 Neosteo will be attending the 6th Triennial International Federation of Foot and Ankle Societies (IFFAS) Scientific Meeting that will take place from September 29 to 30, 2017 at the Congress Center in Lisbon, Portugal. Stop by our booth to discover our new foot solutions soon available ! !